Historically, only general or limited partnerships were used for investing in real estate, but over the past decade, forming a Limited Liability Company (an “LLC”) has become a more popular choice for real estate investors. An LLC formed for real estate investment purposes is not very different from a regular limited liability company, and the steps for formation are very similar. 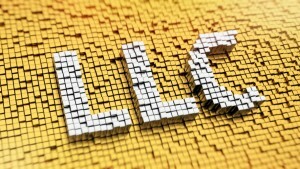 Here are 4 benefits of using an LLC instead of a partnership or a corporation for real estate. Forming an LLC allows for a flexible structure with one general owner and multiple stakeholders. The California Corporations Code requires corporations to be organized in a specific way, which LLCs don’t have to follow. California LLC Law allows a company to create a management structure that fits all members and investors of the company. Another benefit to choosing an LLC over a corporation is lower personal liability; a real estate LLC serves as a buffer between the company’s members and any potential financial loss. This is attractive to smaller companies or investors with limited experience. An owner’s risk is insulated by the protection that the LLC provides, leaving only the assets owned by the LLC exposed to potential liability, rather than the owner’s personal assets. Limited Liability Companies can be managed by the owners or by third-party managers, unlike corporations which require officers and directors. LLCs also have lower state registration and maintenance fees. Forming an LLC as opposed to a corporation can have huge financial benefits since the LLC is not liable for steep taxes like corporations. Limited liability companies provide pass-through taxation, in contrast to Corporations which are subject to double taxation- once at the corporate level and again when dividends are distributed to the corporation’s shareholders. LLCs formed for real estate investment purposes are taxed as partnerships and members can benefit from this classification. More flexibility with management structure, lower personal liability, ease of management and lower taxes are all benefits of forming an LLC for the purpose of investing in real estate.